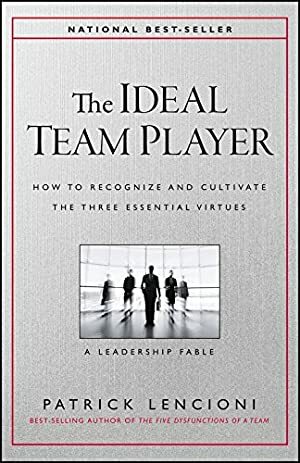 Beyond the fable, Lencioni presents a practical framework and actionable tools for identifying, hiring, and developing ideal team players. Whether you're a leader trying to create a culture around teamwork, a staffing professional looking to hire real team players, or a team player wanting to improve yourself, this book will prove to be as useful as it is compelling. Track It. This book has been $10.05 within the past year. We started tracking this book on February 3, 2016. This book was $23.75 when we started tracking it. The price of this book has changed 156 times in the past 1,174 days. The current price of this book is $12.70 last checked one day ago. This lowest price this book has been offered at in the past year is $10.05. The lowest price to date was $4.99 last reached on September 17, 2017. The highest price to date was $23.75 last reached on February 3, 2016. This book has been $23.75 one time since we started tracking it. We last verified the price of this book about one day ago. At that time, the price was $12.70. This price is subject to change. The price displayed on the Amazon.com website at the time of purchase is the price you will pay for this book. Please confirm the price before making any purchases.